To preclude bacteria from the surface of plants or crops, resistance mechanisms are implemented. Resistance Mechanism based on the use of mixtures and alterations are predicted on the concept that both fungicides are effective. If resistance is developed to a significant level to one fungicide, the other fungicide is effectively being used as a solo compound. The management strategies currently suggest maximum frequencies per season that a fungicide can be used. 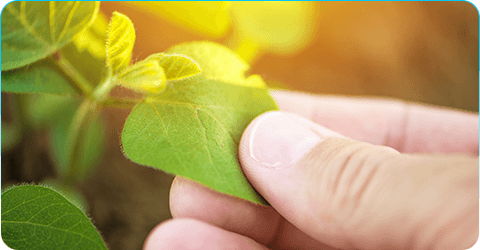 FRAC, a Specialist Technical Group of CropLife International provides fungicide resistance management guidelines to prolong the effectiveness of fungicides and to limit crop losses. It is helpful in crop management. The term here is used to describe genetically determined alterations in the sensitivity of a fungal isolate to a fungicide. The resistance risk is the chance that resistance to a fungicide will develop under a given set of circumstances. The resistance risk differs between different fungicides, between different pathogens, and between different usage patterns. Fungicide resistance is first noticed in high risk species and in the markets where the fungicide is intensively used. The outlook for fungicide resistance generates both anxiety and optimism. Anxiety is because it includes the patchy knowledge of incidence of resistance and the way people perceive pesticides. Optimism is because there is an evolutionary viewpoint and better monitoring methods. Mancozeb products control the broadest number of diseases in the largest number of crops of any fungicide. Large plantations reliant on chemical controls by aerial application. Predominantly mancozeb, as chlorothalonil can only be used in combination with other products. Mancozeb is often combined or rotated with morpholine, demethylation inhibitors (DMI), or strobilurin (QoI) fungicides to prolong the life other chemistries. Resistance to benzimidazole, DMI, and strobilurin fungicides is widespread in many production areas. Loss of mancozeb will impact on resistant management strategies and increase risk of resistance developing to other active substances. Effective and economic option for the farmer's toolbox. Fact- Occurence of Predatory mites: Amblyseius andersoni was found in apple orchards a.k.a Amblyseius andersoni. Mancozeb proved to be least effective on beneficial insects. In 2006, the influence of mancozeb on Amblyseius andersoni was examined in two tests in apple orchards in the northwest and southwest of France. No effect was observed on the population after a single application per season at a dose of 1600 g/ha.After four applications at a dose of 1600 g/ha, the reduction in the population size was significant. However, after one month from the last application, the initial level was again observed. Explore more. Understand more. Learn more.